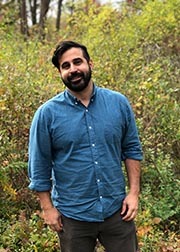 Raul Palma is an assistant professor of writing at Ithaca College. He earned his Ph.D. in English (creative writing, fiction) at the University of Nebraska-Lincoln, where he also specialized in ethnic studies. In 2017-2018, he was awarded a dissertation fellowship through Ithaca College’s diversity scholars program, which he was able to use to complete his novel and dissertation. Prior to his graduate work and his teaching, he worked in various industries as a sales person--advertising, industrial equipment, luxury goods, and printing services--all while carving out time for writing in the off-hours. Originally from Miami, FL., he has also called Key West, Fl., Chicago, IL., and Lincoln, NE. home. He teaches classes in composition/rhetoric and creative writing, with a leaning toward topics in LatinX Studies, women and gender studies, narratology, and transnationalism. In the writing department, Palma serves as the Writing Contest Coordinator. He also serves as a fiction editor for Prairie Schooner, one of the oldest literary magazines--a quarterly published out of the University of Nebraska-Lincoln, edited by Kwame Dawes. His work has appeared and is forthcoming in Alaska Quarterly Review, Chattahoochee Review, The Greensboro Review, Smokelong Quarterly, and The Sonora Review. The first chapter of his novel Manteca was distinguished/notable in Best American Short Stories (edited by Junot Diaz), and his short fiction was included in Best Small Fictions 2018 (selected by Aimee bender). His collection In These Cities of Ultraviolet Light was a finalist in Indiana Review’s Blue Light’s Book Prize, and a semi-finalist in the Iowa Short Fiction Prize. Additionally, his work has been supported with fellowships and scholarships from the CubaOne Foundation, the Kimmel Harding Nelson Center, the Santa Fe Writer's Conference, Sewanee Writer's Conference, and Sundress Academy for the Arts. Palma's story "Never Through Miami" is forthcoming in Greensboro Review, issue 106. In the summer of 2019, Palma will present on the panel "Remapping Genre in the Creative Writing Classroom" at the Great Writing International Creative Writing 2019 Conference at Imperial College London, alongside Jack Wang and Jacob White. 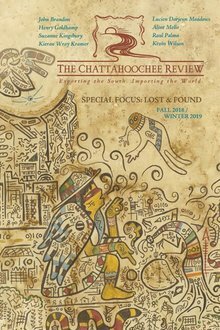 "The World to Come" appears in The Chattahoochee Review's Lost and Found issue, alongside his musings on the origins and inspiration. "Filthy, Polluted" was selected by Aimee Bender for inclusion in Best Small Fictions 2018--originally published in Smokelong Quarterly. Palma's collection, In These Cities of Ultraviolet Light, was a semi-finalist in the Iowa Short Fiction Award. "Pica" appeared in Akashic Books' Terrible Twosday's column. In the summer of 2017, Palma was awarded a fully-funded seat on a literary trip to Havana, Cuba with inaugrual poet Richard Blanco and anthropologist/writer Ruth Behar, where he collaborated with contemporary Cuban artists to build bridges between US and Cuban artistic endeavors. The fellowship was sponsored by the CubaOne Foundation. In the summer of 2017, Palma attended Las Dos Brujas Writer's Conference in San Francisco's Missions District, where he took part in Cristina Garcia's 'Cultivating Chaos' Workshop, and was able to mingle and learn from writers such as: Achy Obejas, Truong Tran, Chris Abani, Beth Nguyen, Denise Chavez, to name a few of the talented writers presenting and in attendance.